We have visited Scarborough many times, it is one of our favourite places to visit as a family and certainly one of my favourite places. 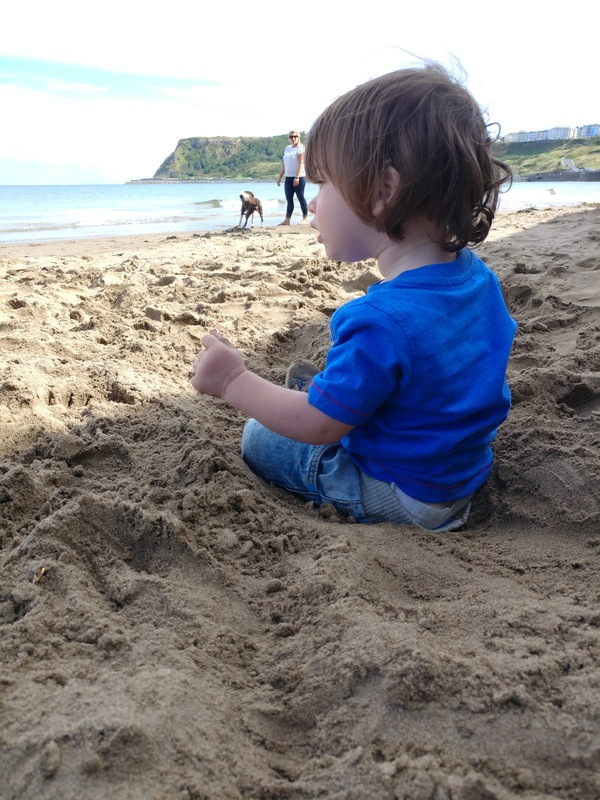 I have many happy memories visiting Scarborough as a child and have made many memories visiting with my children. It was on one of these visits with the children when I was taking photos of the castle that I noticed people walking inside. I had never realised that you could visit the castle, let alone go inside. 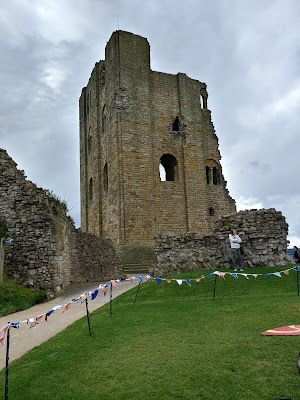 Visiting inside the castle was placed at the top of the to do list for our next visit to Scarborough. An email landed in my inbox from English Heritage inviting us to visit Scarborough castle over the summer holidays. It was an offer I simply could not refuse. English heritage had a wide range of events over the summer holidays and after looking through I picked Hand on History. The date we picked turned out to be one of the windiest dates of the year! I struggled to keep the pushchair up right. The girls cold from the wind and wanted to watch the event unfold rather than participate. It was a shame as there were some fantastic events on for them. Having not been in the castle before we took some time to explore. The castle more impressive up close. The girls loved exploring the castle grounds. Plenty of space for them to run around and play. Space for them to have fun. I was taken back completely by the views from the castle. 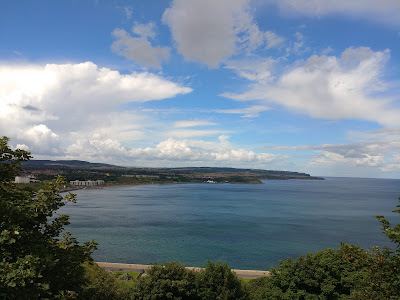 I thought I knew Scarborough and had seen it all, but standing from the castle gave me a whole new perspective. The bay was stunning. Had the weather been less windy I could have happily stood and looked at the view all day. The wind was picking up and the girls getting cold so we decided to venture down the hill and back to the beach. The day we had planned playing in the castle was just not meant to be. It was a real shame as there were some great activities planned. 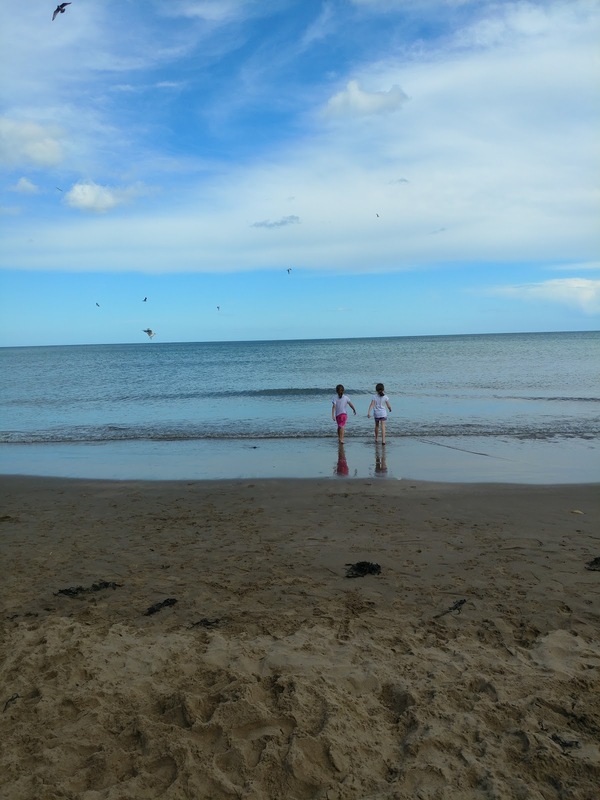 We found a sheltered spot on the beach and played until the girls got too cold and it was time to go home. Whilst it was not the day we had planned we still had a wonderful day together. I can finally say I have been to the castle. 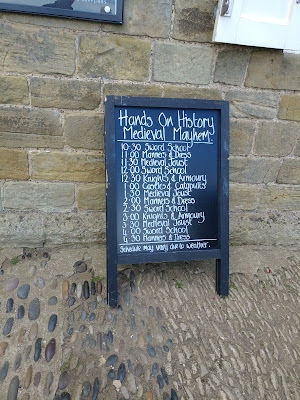 The girls have even asked when they can visit again, so I am checking the English Heritage events page to see what is happening over Halloween and Christmas. We shall certainly visit again!